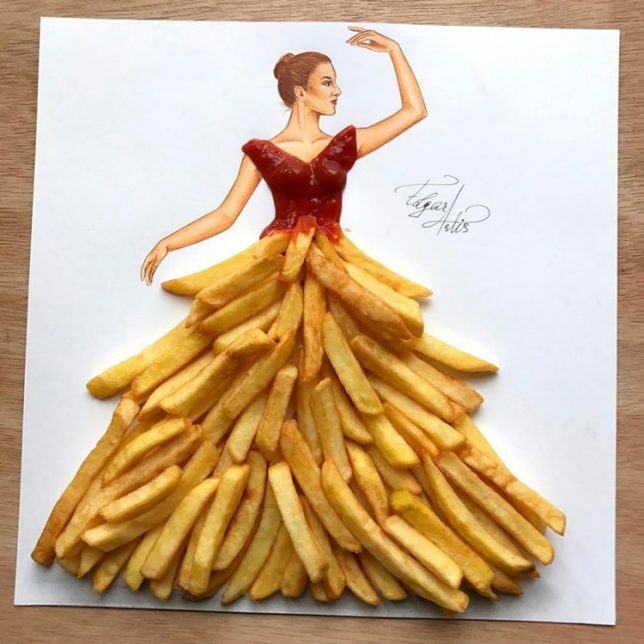 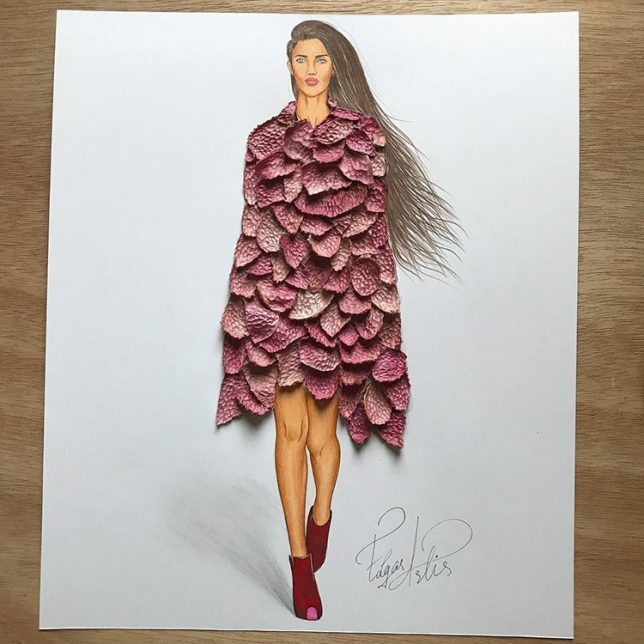 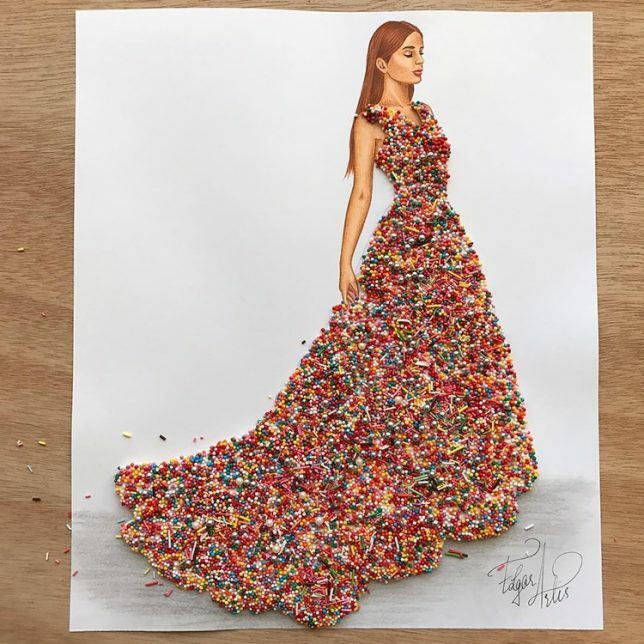 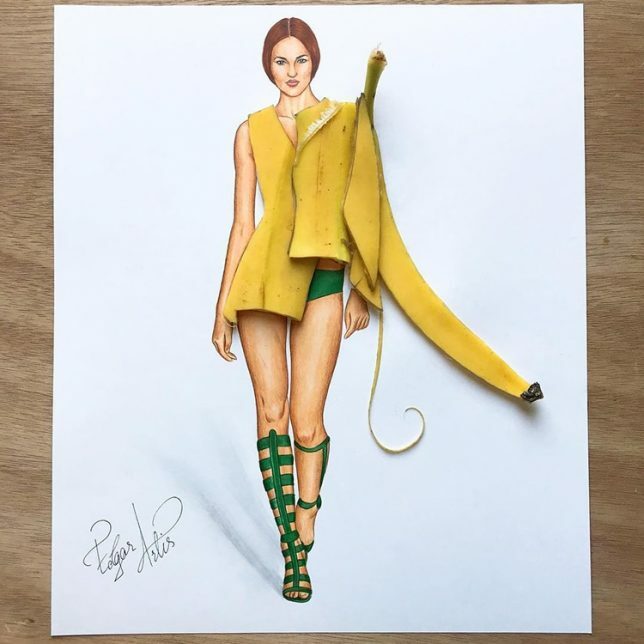 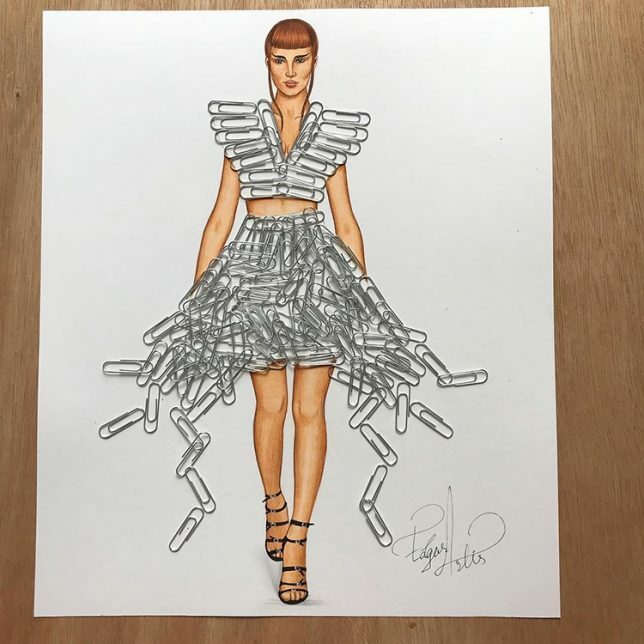 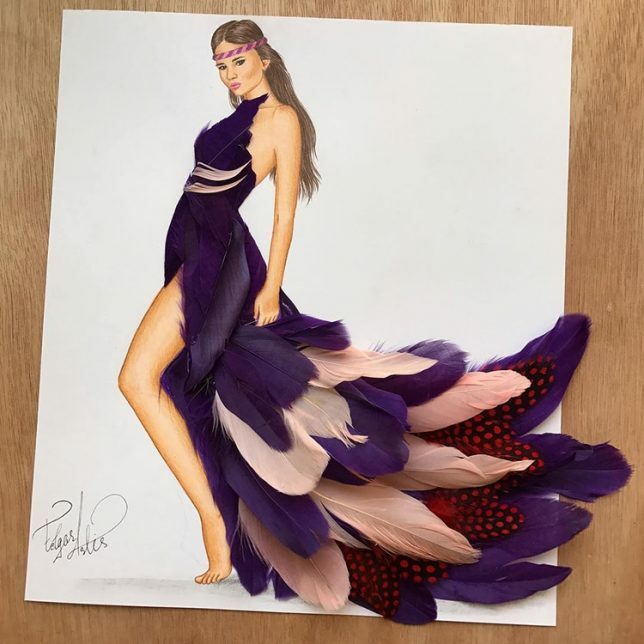 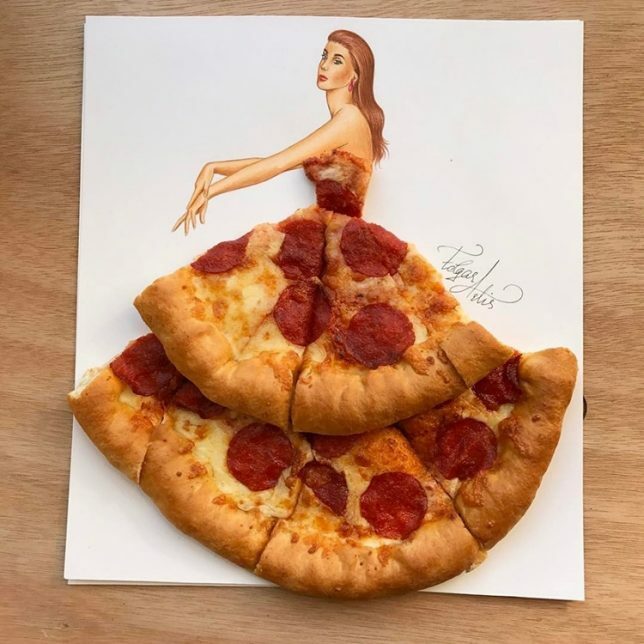 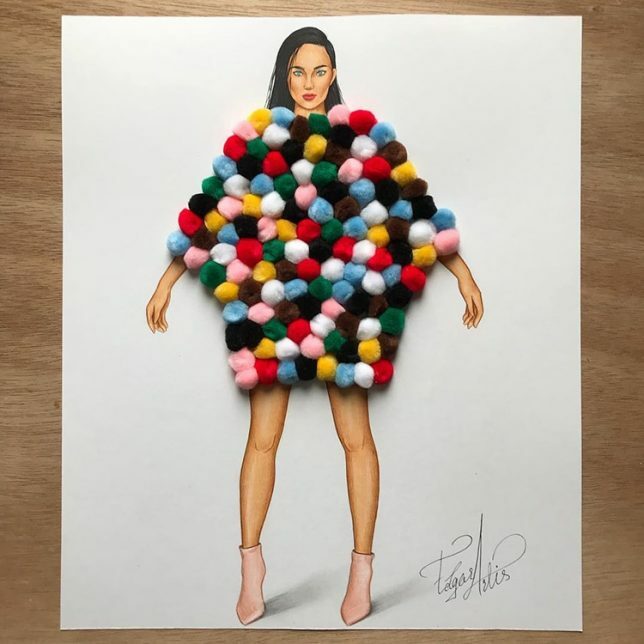 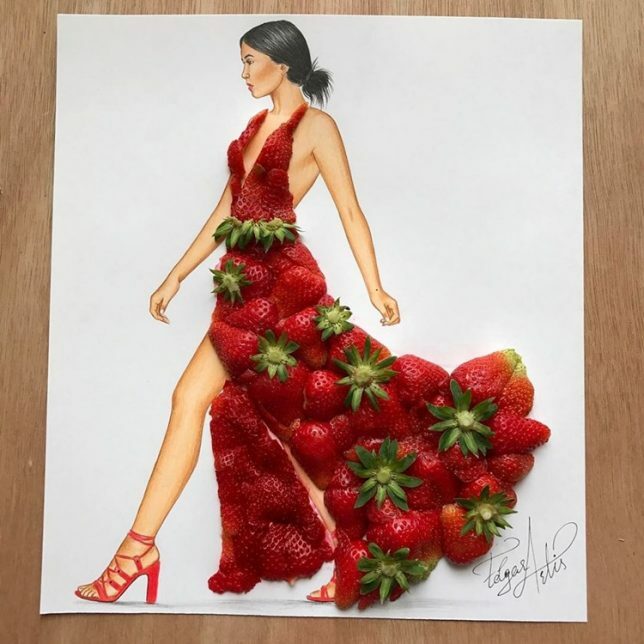 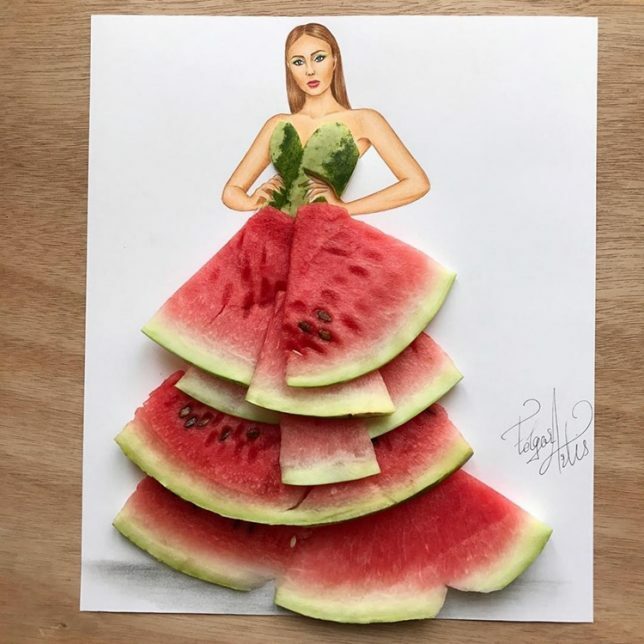 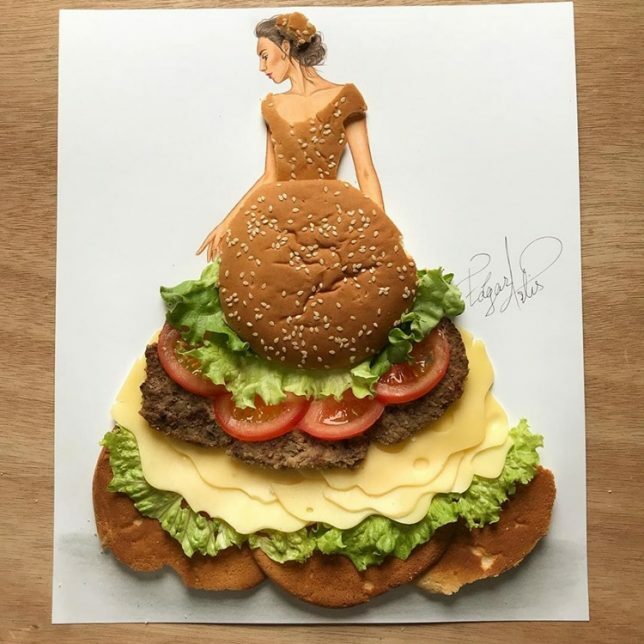 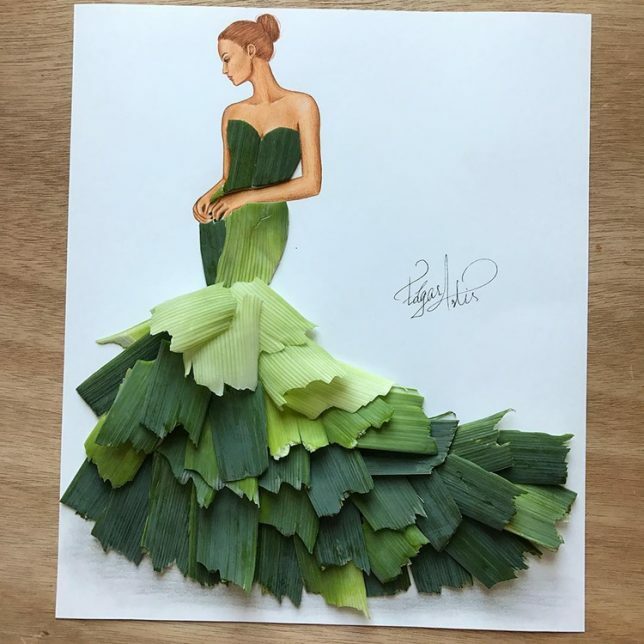 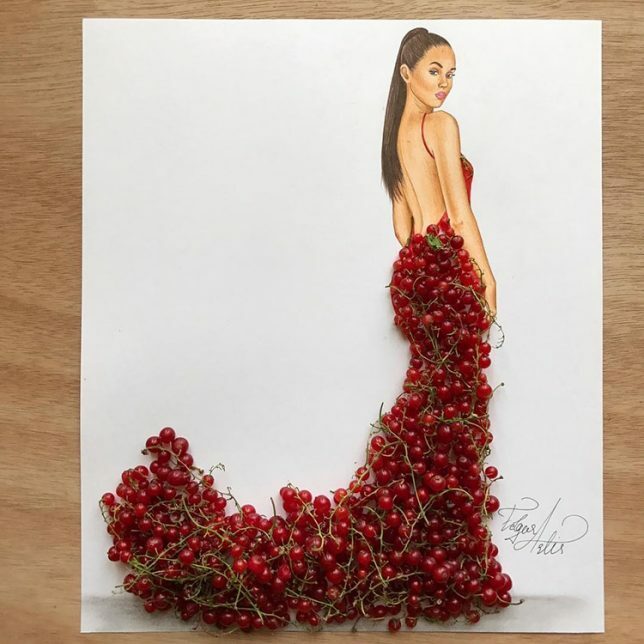 Rivaling even the most surreal runway shows, these pencil-drawn, object-animated fashion illustrations use food and other found objects into cutting-edge apparel. 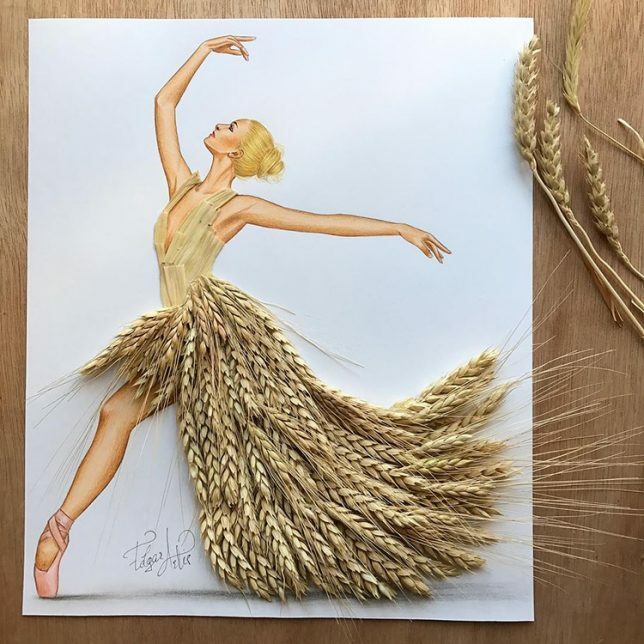 Amenian illustrator Edgar Artis starts with something simple: an illustrated figure that acts as an underlay. 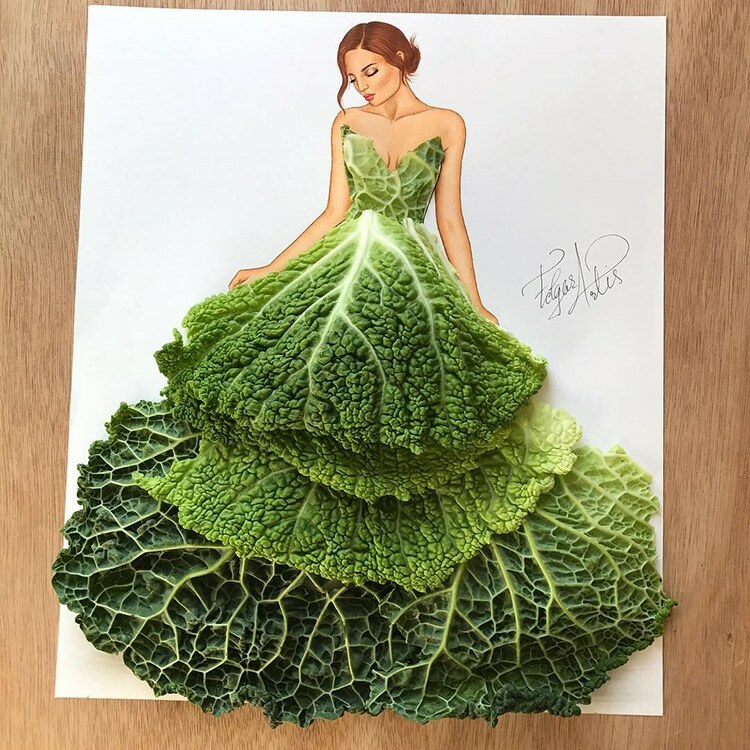 But things get strange quickly from there, as he drizzles on spaghetti and meatballs, sprinkles pencil shavings, or carefully arranges lettuce leaves to form dress patterns on top. 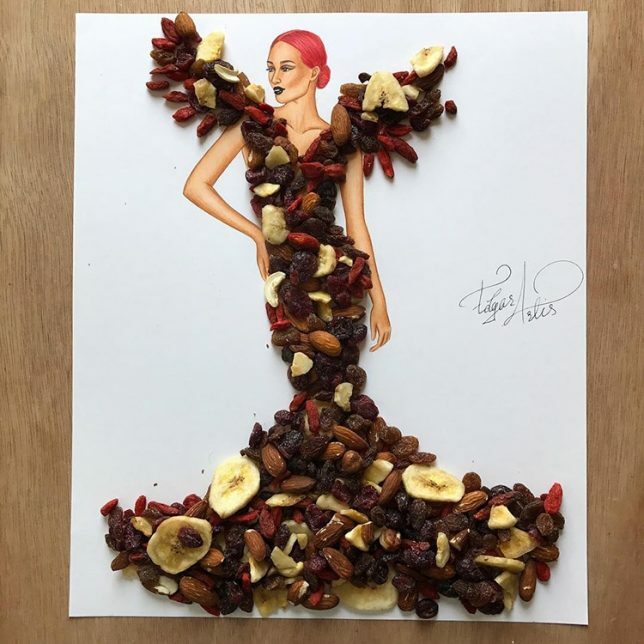 These mouth-watering works highlight the possibilities of ordinary colors, textures and patterns, like the fractal forms of fruits and vegetables or the organic diversity of trail mix.